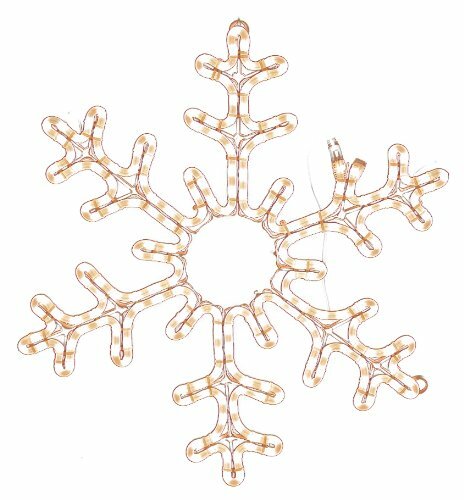 American Lighting LED-WW-HSM-SNOWFB36 Snowflake Holiday Rope Light Motif, 36-Inch. Led bulbs last three times longer and use 85% less energy. LED rope light attached to durable steel powder coated frame. Available in multiple designs and a variety of sizes. 6-foot power cord with two blade 120V AC plug. Safe for indoor and outdoor use.